Forbes & Forbes is very much a family affair run by 2 brothers; Colin and Robert (Rob) Forbes. Colin is the wine maker and caretaker of the Woodman’s vineyard where these great Riesling come from. This is a vineyard that Colin knows very well as he use to own it until he sold it to the Woodman family, now he buys the fruit back to make these classic Rieslings. 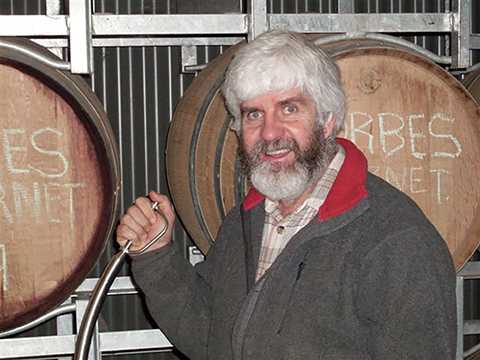 Colin first began working in the wine industry as a cellar hand at Hardy’s Wines in 1974. In 1975 Colin moved to the Barossa Siegersdorf winery and, under the inspired leadership of Brian Croser, made some awe-inspiring Rieslings that took the Australian wine show circuit by storm. This started the love affair with Riesling, that still continues today. He studied Wine Science by correspondence in 1978 to fully understand the science of making wine and also to back up the practical experience he had already gained. He moved to the Eden Valley and purchased the now Woodman’s Vineyard just near the small town of Springton in South Australia. 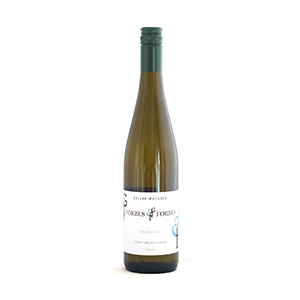 In 2008 he established Forbes Wine Co with brother Rob and have been selling the very small volumes of “old vine” Riesling under the Forbes & Forbes label since. Rob, although not working in the winemaking process he still has great joy in helping in the vineyard with planting, picking and pruning on many occasions. He has taken great joy in watching Colin make some stunning Riesling’s that age beautifully.